Follow one girl’s journey through her neighborhood as she explores what colours mean to different people. ls red angry, like a dragon’s burning breath? Or brave like a fire truck and a superhero cape? ls pink pretty or annoying? What about black and orange and green? 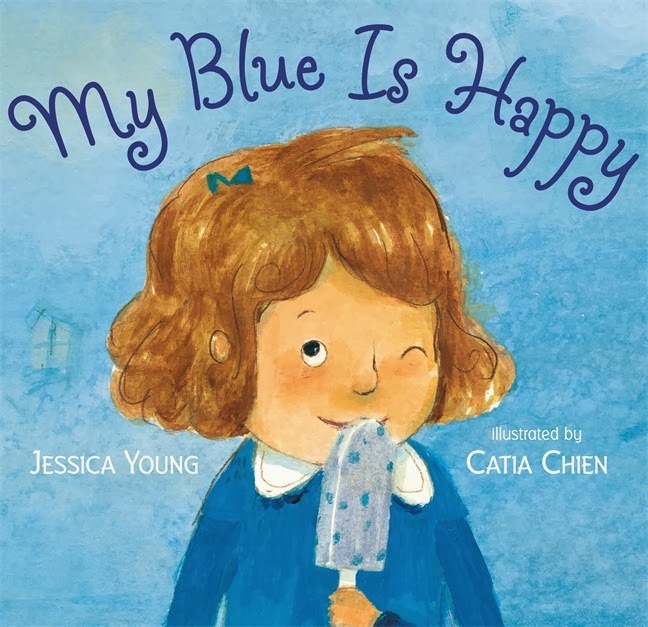 In her picture-book debut, author and art teacher Jessica Young challenges common assumptions about colours and celebrates individual perspective. Brazilian-born artist Catia Chien provides her own interpretation in this ode to colours—and the unique ways we experience them. 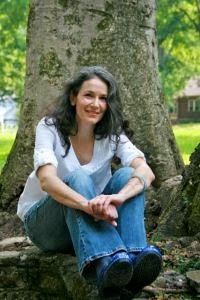 "My ideas are like wild animals. They come around when they want to – usually when I least expect it. Since my mind tends to wander, I try to write thoughts down before I forget them, even if it’s on a napkin, envelope, or whatever scrap I can find. My Blue is Happy started as one of those thoughts. I’ve always been fascinated with individual differences and how people see the world through their own lenses, and since I was young, I’ve responded to colour in a visceral way. Looking at paintings from Picasso’s Blue Period and listening to the blues, I realized that to me, blue is a happy colour. It made me wonder how a child would feel about discovering other people’s associations to her favorite colour. When the title came to me, it was clear and bright in my head. But the rest of the story wasn’t. In the beginning, it was set in a classroom, with a more traditional narrative structure and a poem embedded in it. After many incarnations (over a period of several years), and a lot of feedback from critique partners, other authors, and my wonderful agent and editor, it slowly evolved into its current form. As an art teacher, I’ve seen kids who are always looking for the “right” answer. They want someone to tell them the solution to drawing a given subject. It’s understandable – kids are often expected to act and think and feel a certain way. It’s sometimes hard to recognize that in art, as in life, there are as many different perspectives as there are people, and countless ways of doing things. I hope the book sparks some good discussions about diversity and perspective, and makes readers think about colours in a different way." What's your child's favourite colour and how does it make them feel? Create your own colour similies with this free downloadable activity. Find My Blue is Happy at your local bookshop.